How is your listening these days? What do you enjoy listening to? I love listening to podcasts and audio books, though I can't say I'm always the most attentive listener. Sometimes I listen while "multi-tasking," occasionally perking up for an interesting point. Other times I find myself so engrossed in the listen, I can't help but stop everything else. Years ago I started listening to Tony Morrison read Beloved as background to doing housework - 5 hours later I was sitting on the couch still listening, as the sun set and my house remained a total mess. Speaking and Listening are core skills for students, and will probably become more and more important as students become podcasters and podcast listeners themselves. So, Facing History LA is happy to have partnered with Listenwise this fall to bring more listening opportunities to California students! Each webinar will feature both organizations, current classroom teachers, and practical tools and resources. To extend the discussions a little further, and for those who can't join in real-time, each webinar will be recorded and embedded on this blog. All who then share a comment or question on the blog during the week following the post will be entered to win a Facing History resource related to that webinar discussion. Make sure you've subscribed to this blog to see the posts when they come out! You can do that now on the right side of the page. Want more to listen to? Listenwise has started its own podcast featuring California Superintendents! It's fun to hear a little more from the human side of our educational leaders. Check it out on Talk Sup, and reach out if you have a Superintendent you want Listenwise to interview next. Listenwise is an award-winning program that helps teachers use podcasts and public radio stories in their classrooms. Listenwise is the only program that builds listening comprehension skills to engage students and assess listening to prepare for the CAASPP. To find public radio stories and lessons for your middle and high school ELA, social studies, and science classrooms you can sign up for a free Listenwise account. What else should WE be listening to? 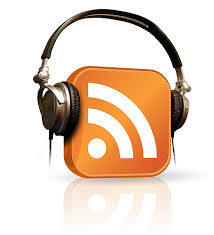 Share any favorite podcasts or radio stories below. As Program Director for Los Angeles and Organizational Innovation for Facing History and Ourselves, Mary leads workshops, seminars, and professional development in the greater Los Angeles area, works with individual teachers and faculty teams implementing Facing History in their classrooms, pilots new uses of digital tools and resources for education, and collaborates with formal and informal education organizations across Southern California.